However good Russia’s S-300 air defense system is, when supplied to Iran the US will be capable of dealing with it, President Barack Obama said in an interview to MSNBC. He mentioned the Pentagon’s incredible budget compared to Iran’s as proof. 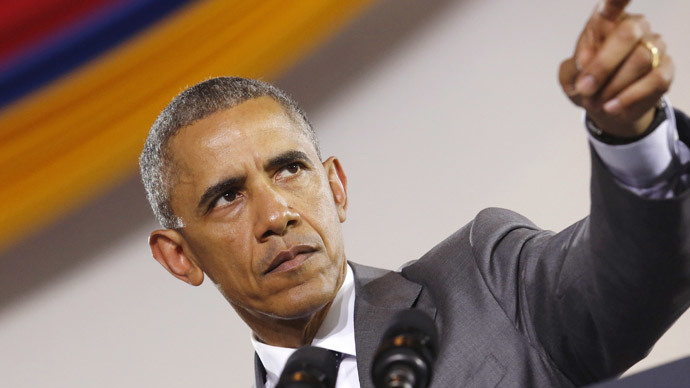 “Even if they have some air defense systems, if we had to, we could penetrate them,” Obama said. The delivery of these complexes have been pending for six years, Obama noted, stressing that “In fact, the Russians stopped it at my request. “My goal is not to resolve conflicts and tensions in the [Middle East] region through more war,” he said. “My goal is to make sure we can negotiate a deal we know we can verify that ensures Israel is safe and ensures our neighbors like Saudi Arabia and the Gulf countries are safe and that there is not a nuclear arms race in the region,” Obama told MSNBC. Last week Obama downplayed the significance of S-300s being supplied to Iran. 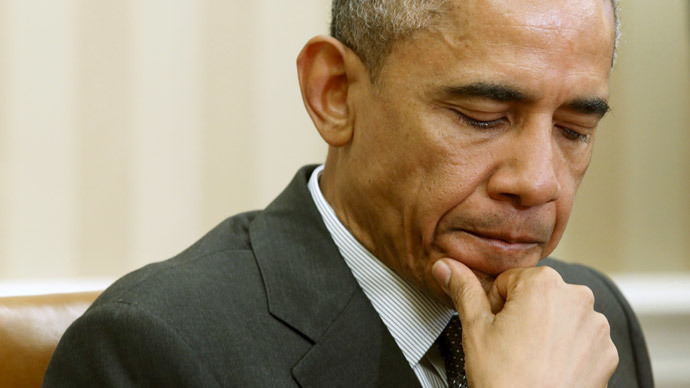 “I’m frankly surprised that it [the ban on S-300 deliveries to Iran] held this long, given that they [Russians] were not prohibited by [UN Security Council] sanctions from selling these defensive weapons,” Obama said on Friday at a news conference in the White House. Israeli Prime Minister Benjamin Netanyahu expressed “grave concerns” at the S-300 delivery to Iran and phoned Russian President Vladimir Putin to discuss the issue. 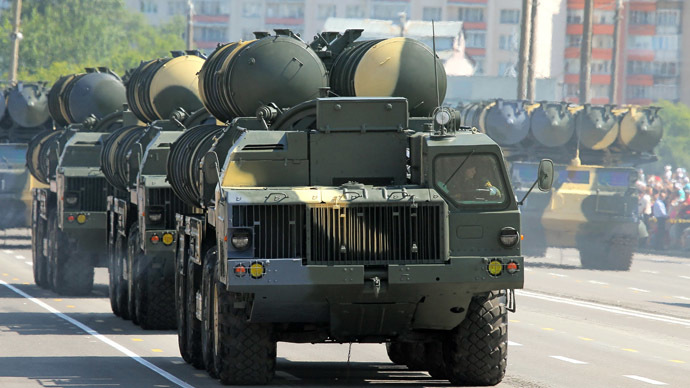 Answering questions from the public during the annual Direct Line Q&A with Putin special broadcast on April 16, the president revealed that there was another country immediately bordering Israel which was denied delivery of S-300 systems at Tel Aviv’s request. 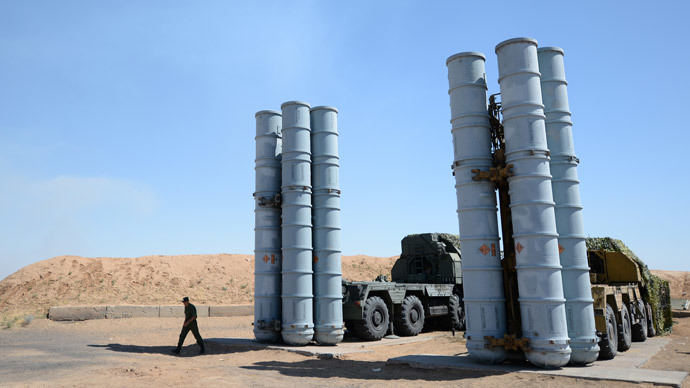 If deployed there, the range of S-300 missiles would cover Israeli airspace, explained Putin. Yet Iran and Israel are far from each other, so S-300 deployed in Iran cannot pose any threat to Israeli airspace. "With the progress of the Iranian nuclear track - and that is obviously positive - we do not see any reason to continue to keep the ban (on the delivery of the S-300) unilaterally," Putin said as cited by Reuters. Russian Foreign Minister Sergey Lavrov pointed out that there is “no longer need for this kind of embargo,” due to the progress in Iran’s nuclear talks made in Lausanne on April 2. He reiterated that the 2010 ban “from the Russian side it was unilateral and voluntary,” and was aimed to encourage progress in Iranian nuclear talks. The P5+1 world powers are preparing to resume negotiating a nuclear deal with Iran later this week, with a final deal planned to be signed by June 30.